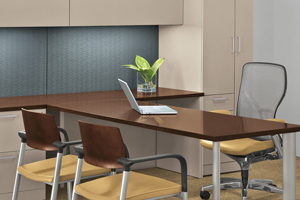 Desks and workstations make up the backbone of the office, whether it's a desk for a private office or workstations for a collaborative areas . 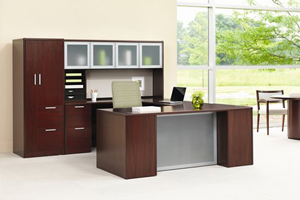 Workspace Solutions offers you full lines of both in price ranges to fit almost any budget. We also have a large assortment of used desks and workstations including sit-to-stand desks at our office furniture store in Fort Wayne. 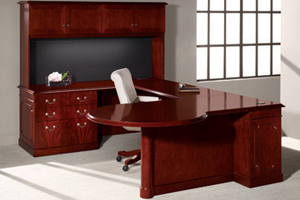 For more information on Desks & Workstations visit our Manufacturers below. 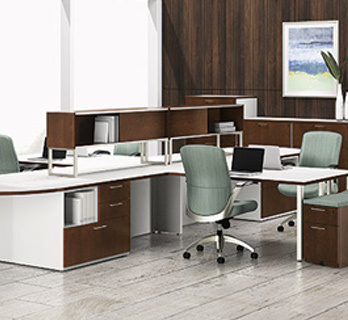 Cadence offers freestanding desks, credenzas, and storage for unlimited versatility in a private office setting. Its modular flexibility lets you personalize any environment and accommodate a range of needs with a variety of worksurface shapes, multiple worksurface edges, and a complete paint finish and laminate offering. Plus, it's compatible with Concensys, Allsteel storage solutions, and Extensions work tools. Tradition and value find elegant expression in Kennsington 2.0's beautiful woods and fine detailing. Box trim molding can enhance the natural beauty of cherry and richly figured cerejeira veneers, and leather inlay or sketch face tops are also optional. Doors can have beveled glass, mesh grill or wood panel insets. 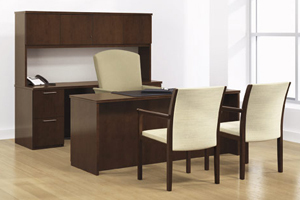 The comprehensive Kennsington 2.0 collection includes conference tables, AV cabinets, credenzas and occasional tables. Fully assembled, this exceptionally priced veneer series offers beautiful wood worksurfaces or the option of a durable laminate top for specific application needs. Flourish offers more than desks and workstations, complementing bookcases, wardrobes, credenzas and table provide the series with the flexibility to deliver a variety of solutions throughout your organization.